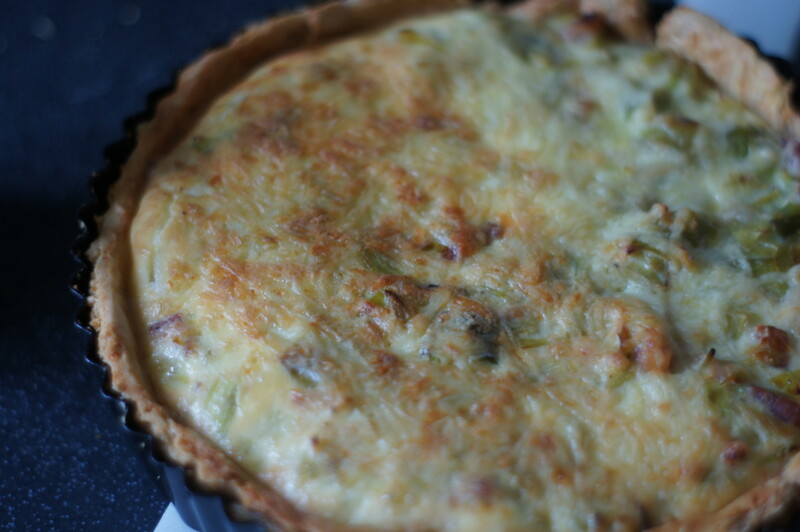 My Dad came to visit this week and was due to arrive around lunchtime so I decided quiche might be a good lunch option. I’d never made one before and I am also a little nervous when it comes to making pastry so it was a new adventure in baking for me! 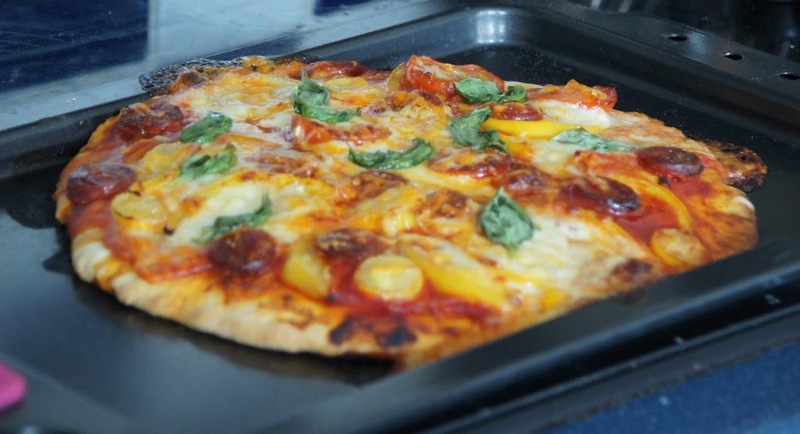 I had a look at quite a few different recipes but spotted this recipe on the BBC website. As I had some leeks that needed using up, I decided this was the recipe to try. 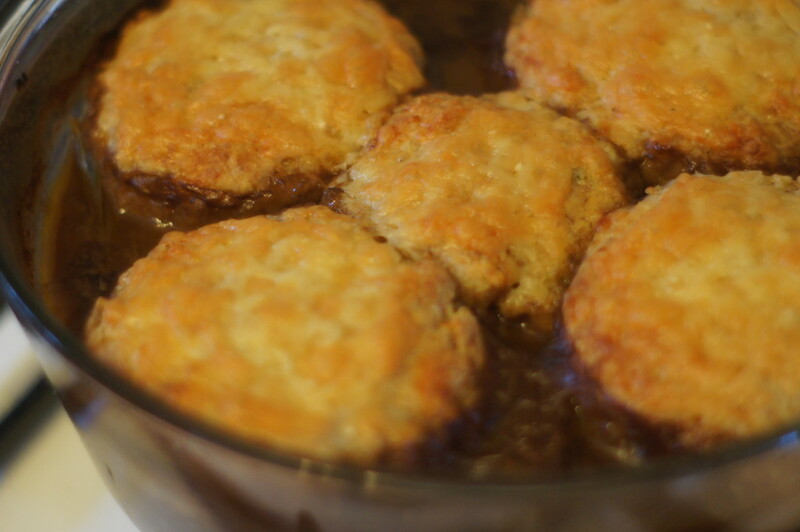 Handily, there is a video that accompanies the recipe showing you step-by-step what you need to do. I had seen this Paul Hollywood recipe ages ago and pinned it to my ‘Recipes to try’ board on Pinterest. After making Mary Berry’s Cottage pie with dauphinoise potato a couple of weeks ago we had some red wine that needed using up so decided yesterday was the day to give it a go. I normally fail to make a decent beef casserole but I have to say this was delicious. The recipe says to use a metal casserole dish but we don’t own one so I cooked everything in a frying pan before transferring it to a glass casserole dish in the oven. The original recipe is for 6 people but as it was just the two of us I halved the quantities to make enough for 3 (leaving a portion for the freezer). The original recipe uses malt flour and wholemeal self-raising flour which I didn’t have so just added a teaspoon of baking powder to some wholemeal flour and increased the amount of self-raising and wholemeal flour to make up for the missing malt flour. When out doing a spot of last minute Christmas shopping with Mr Birdie we found Rachel Allen’s ‘Bake’ for a bargainous £3! I spent a lot of the Christmas holidays perusing the recipes. 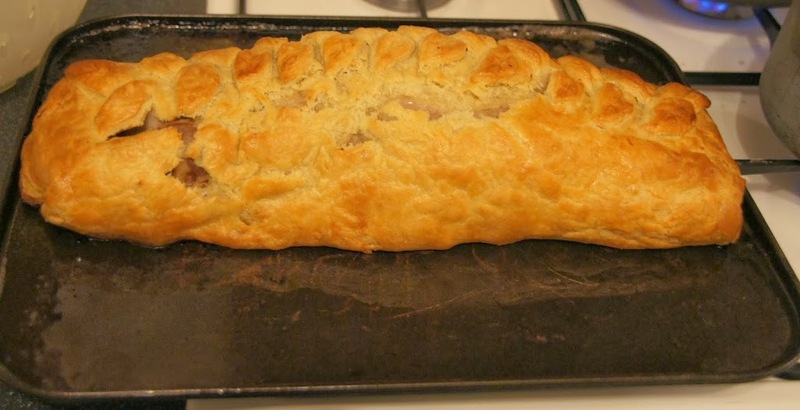 One of the recipes I spotted was this pork en croute recipe which I thought sounded interesting. When food shopping just before the New Year I spotted some pork fillet which was reasonably priced so snapped it up. This weekend I decided to try it out. 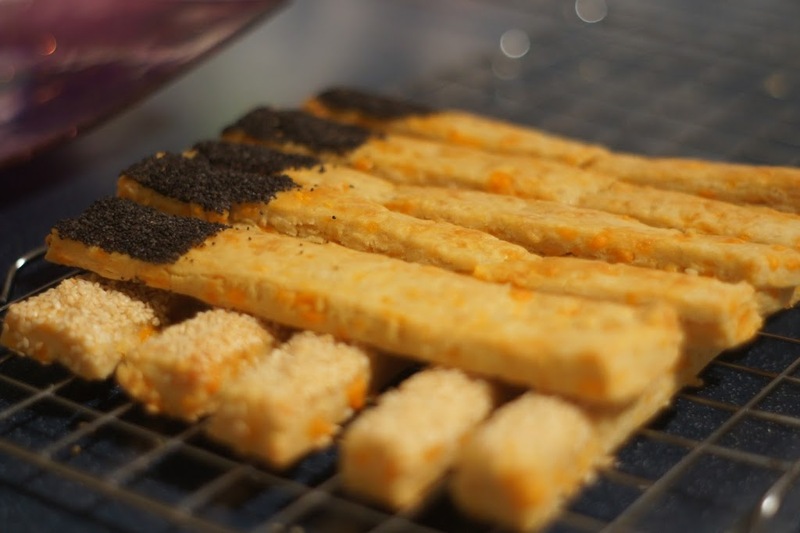 It is the first time I have tried anything savoury pastry based and this ambitious! I have to say I thought there was a point during the making of it that I thought it would all end up going horribly wrong but I was pleasantly surprised. As you can see from the photo above I did have a few cracks and sadly a ‘soggy bottom’ but for a first attempt I was pretty pleased. I used the flaky pastry recipe from Ruth Clemens ‘The Pink Whisk’ blog which you can find here. I found it was just the right amount of pastry with enough left over to decorate it. I served it as a Sunday roast accompanied by roast potatoes, roast carrots and parsnips and Brussels sprouts. The bonus of this recipe is that it can be prepared beforehand and can stay in the fridge for up to 24 hours or in the freezer for up to 3 months. As I’ve said before I’m not really a savoury baker. Dough scares me! However, with time on my hands during the holidays it allows me to try out some different recipes. We enjoy pizza in the Little Birdie household so I decided to try making a pizza from scratch for dinner. I used a Lorraine Pascale recipe for the dough which you can find on the BBC website here. I was pleased with how it turned out. 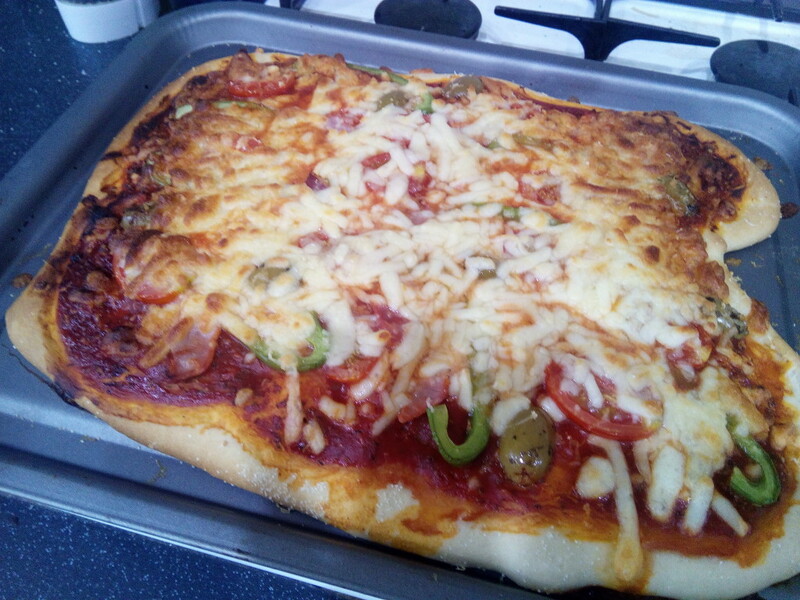 It wasn’t as thin and crispy as a normal pizza but this was probably down to me not rolling it out thin enough. I’ve also read that a pizza stone helps create a more authentic pizza but sadly we don’t own one so maybe I will have to investigate. Both of these recipes come from a Sainsbury’s cooking book I was given as an end of year present by an ex-pupil. I used to bombard them with tales of my cupcake making and even bring baking into my Maths lessons so I was really touched to receive it. It’s called ‘Baking Recipe Collection’ by Sainsbury’s and is out of stock on the Sainsbury’s website but it you look on Amazon you can find second hand copies starting from the bargainous price of 1p (plus postage and packing). I’ve decided to combine the two into one post.